When you're in need of a quality Long Island general contractor, Straight-Line Construction has got you covered. Based in Suffolk County NY, Straight-Line Construction has more than 30 years of experience serving homeowners in both Suffolk and Nassau counties. Please give us a call today at (516) 885-4824 to receive a free estimate for our services. We will work closely with you on any home project to ensure that your vision is attained. Straight-Line Construction is an experienced home contractor in Suffolk County, Long Island, dedicated to delivering complete, quality work for every phase of your new construction project. We achieve the highest standards of quality in our field. We tackle all facets and styles of new home construction from project planning to framing to finishes. 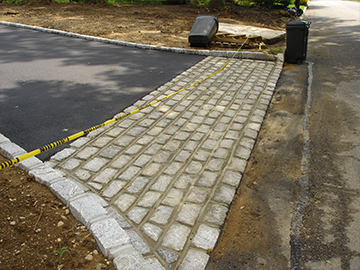 With Straight-Line, we have you covered from start to finish! We are even available for dependable home repairs, to ensure your home looks great all year long. Our portfolio of home renovation projects includes basement renovation, bathroom remodeling, kitchen remodeling, deck building, home repairs, electrical wiring services, window installation and all other home renovation projects. Our deep local roots and attention to our customers' goals for new construction and interior renovations have solidified our reputation on Long Island as trustworthy and dependable general contractors. Our expert knowledge, superior service, and guaranteed quality make us the natural choice for your design, installation and remodeling needs. From simple to major home repairs, we're your one-stop solution for home renovation, home construction and emergency home repairs. Don't let another day go by with a leaky roof, outdated kitchen, unattractive bathroom, or an endless "to-do" list. Let us repair that Sandy-damaged deck or build you a brand new one. Call the trusted professionals at Straight-Line Construction for your free consultation and estimate. Let us help you keep your home looking brand new. Our talented staff will work with you to develop the look you desire. We'll implement it in a way that's practical and affordable using our impeccable craftsmanship. 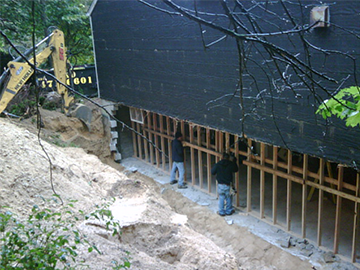 Our contractors are licensed, insured, and have years of experience dealing with all aspects of home construction, home repair and home renovation on Long Island. You'll sleep easier at night knowing your home is safe in the hands of a trusted general contractor. We make a firm commitment to complete every project on time, within budget, and to your satisfaction because we treat each home as if it were our own. From planning a new home addition or basement renovation to a complete bathroom or kitchen remodeling project, we keep you involved every step of the way. When it's time for you to enlist the help of a Long Island general contractor, Straight-Line Construction is your complete resource for home renovations, repairs, and remodeling on Long Island. We offer references, project planning assistance, and the opportunity for you to work directly with the owner, an advantage that is often not possible when working with larger contractors. Our hands-on, individualized approach to each project works because we look at each home and each client as a valuable member of our community. Call the trusted experts at Straight-Line Construction for your free estimate and initial consultation. We're certain you'll see why it pays to put your family's home in our capable hands. 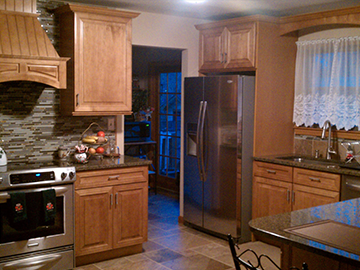 Contact us today to learn more about all the home services and remodeling jobs we do. Below is a list of all the locations across Long Island where we provide our services.